7" wide LCD touchscreen makes operation simple, easy, and intuitive. Images look crystal clear. The smart system and cool on-screen menu also make you adjust the video settings to your specifications easily with fantastic experience . 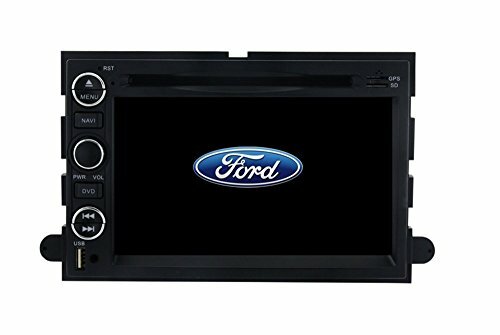 *This navigation system doesn't fit vehicles with factory navigation system.This DVD player fits for cars with factory Premium sound system(built-in audio amplifier like Bose, Infinity, JBL etc and air-condition temperature showed on CD player),please contact us before or after order for 100% sure for this big upgrade. * Please check the car model and year and the control panel before or after order. * We suggest getting it installed by a professional installer. User Manual, GPS antenna, Remote Controller, Power Cable, RVA Cable, Rear view camera. 7" Capacitive screen with WINCE 6.0 Operation System search satellite singal strongly high-precision navigation and positioning. Intelligent Navigation System Built-in GPS, Bluetooth, Analog TV, DVD,AM/FM with RDS, iPod, Steering Wheel Control, Rear View Camera input. Plug and Plug. Simply plug in to factory plugs, no wire cutting. Ultimate upgrade head unit to your car's entertainment system and needs.One year warranty for the navigation device. If you have any questions about this product by TamYu, contact us by completing and submitting the form below. If you are looking for a specif part number, please include it with your message.